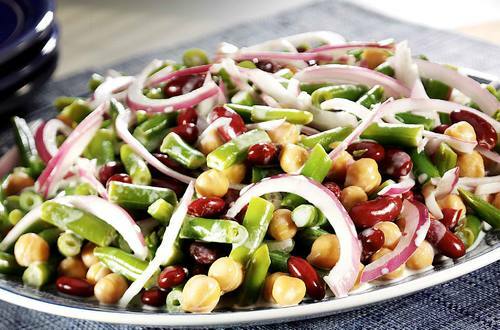 Add a yummy twist to this traditional picnic favorite with Creamy Three Bean Salad recipe. Our mayonnaise makes all the tasty difference! 1 Combine Hellmann's® or Best Foods® Real Mayonnaise, vinegar and sugar in large serving bowl. Stir in remaining ingredients. Chill 3 hours before serving.